- Find out how many teachers have iPads and "Gift" the apps. This way, you can send them gift codes that they can use to download and install the apps ahead of time. Download instructions for Gifting Apps. - Purchase or borrow an adapter that will let you hook up an iPad to a projector. This is nice for demonstrating how the iPad works. - If you need special structures or help, contact us. See our structure collections for examples. - Have teachers sign up for the DWB mailing list. DWB will email suggestions for interesting structures to view and lab ideas. - Have teachers check out Biotech-careers.org. 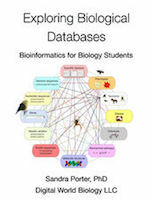 This is a great resource, from Bio-Link, for students with an interest in biotechnology. Are you interested in hosting a workshop? Are there other materials that we should include on this page? Contact us! We might be able to send promo codes or iTunes gift cards. If you are a teacher and want the answer key, sign up for an educator account. We will send information for you to log in to the educator section and download answer keys. If you are hosting a workshop, contact us and we will send you a file that you can share with teachers.